Highest verification accuracy. Effortless. Faster than ever before. IQM uses the actual patient plan for plan QA. Simply export the DicomRT plan data to IQM. One click. Done. No need to create a verification plan. No need to copy and paste the treatment beams from the patient plan to the verification plan. No need to calculate the dose distribution for the verification plan. Focus your valuable time on developing the best possible treatment plan for the next patient. Real-time verification reduces the QA time to the absolute minimum. Verifying your treatment plan takes exactly as long as delivering the treatment plan. No setup time, no cable connection, no time for alignment, no calibration, no system preparation. Simply load the plan at the Linac and start the beam. IQM does not require any user interaction. As soon the plan is delivered your verification is done. IQM is the first verification system that does NOT increase the workload for clinical staff. IQM significantly decreases the time needed for plan verification. Time that you can use to supply the best possible care for your patients. IQM does not require any data analysis. The treatment beam is verified in real-time. No dose difference test, no distance-to-agreement test, no gamma index, no plan report creation. As soon as the beam is delivered the plan QA is done. Verification has never been easier. Plan QA has never been faster. The error detection sensitivity and specificity of the IQM system has been compared to every commercially available verification system, including other transmission detectors, various 3D and 2D arrays and portal dosimetry. Every possible treatment delivery error has been introduced into 100’s of treatment beams. IQM was the only system capable of detecting all clinically relevant errors. Every time. All the time. Unmatched accuracy. IQM can verify every IMRT plan. Without limitations. Both step-and-shoot and dynamic IMRT beams are verified segment-by-segment. The IQM detector dimensions allow you to verify large field IMRT plans with field sizes up to 40cm x 40cm. As one single beam. No limitations. No additional workload. IQM is the only verification system that becomes more sensitive with smaller segment sizes. IQM’s patented continuous spatial resolution provides unmatched sensitivity for even the smallest possible field size. For every possible dose, starting from 0.1MU up to unlimited. At every possible dose rate. And every possible fractionation. IQM lets you provide the best possible care for your patients. When the total dose is delivered over only a few fractions, the ability to catch errors before they have a chance to harm your patient makes a significant difference. A new level of accuracy. Uncompromised. Plan QA with IQM consists of attaching the detector to the collimator, loading the patient plan at the Linac control console and starting the beam. Everything else happens fully automatically in the background. Plan QA with IQM can be done by the Radiation Therapist. At any time during the day. Before patient treatment in the morning, during the lunch break, any time. Do you have multiple Linear Accelerators with matched energies? IQM allows you verify a treatment plan at any Linear Accelerator in the group. Wherever convenient. Whenever possible. IQM automatically creates plan QA reports. For every plan QA. No user interaction required. No additional workload. Delivery accuracy is documented at every control point. Absolute Deviation. Relative Deviation. At every control point. Plan QA reports are saved in PDF and Excel format. IQM can send you the plan QA report via e-mail and/or allows you to attach it to your electronic patient file. IQM does not compete with your conventional plan QA tool. Use IQM in combination with your 3D array or your 2D array. 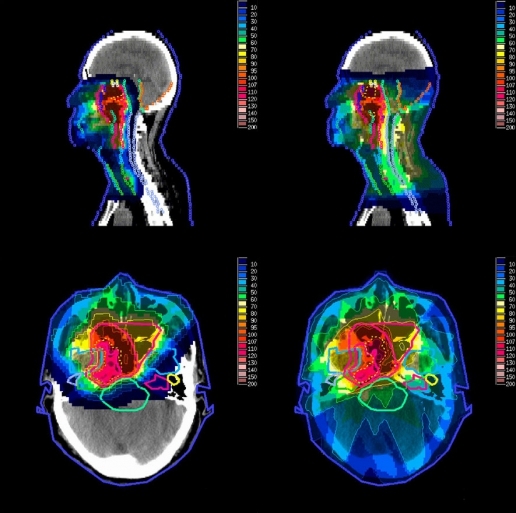 Use IQM in combination with your portal dosimetry system. It is your choice. Or your choice not to. Whatever makes you feel comfortable. Spot check IQM results every quarter with your 3D array. Use IQM in combination with your portal dosimetry system. If both systems show a deviation it must come from the treatment beam. If only the portal dosimetry system show an error, it must be due to an incorrect patient setup.